R2844-Z - Designed for versatility! 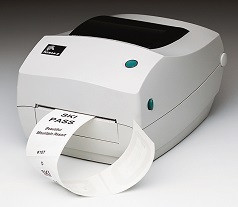 Meet your RFID printing needs with a compact desktop printer designed for versatility. Ideal for lower-volume applications, including parcel delivery, library book checkout, document tracking, supply chain management, ticketing and healthcare. This small RFID encoder makes a big impact on your tracking operations.